PERI entrega soporte en todas las áreas tecnológicas de Encofrados y Andamios. 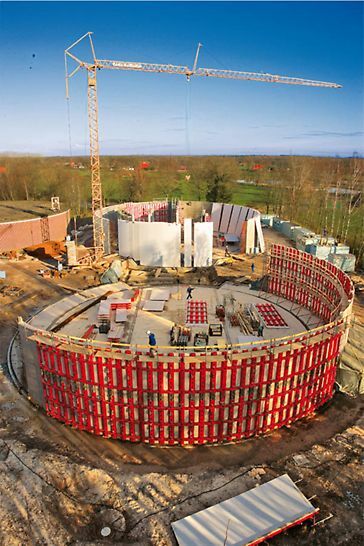 With the RUNDFLEX Plus, we only needed half the time compared to conventional circular formwork. This tried-and-tested system reduces material requirements and the work involved, and includes all accessories. The safety equipment is a great advantage and easy to assemble. My team have had absolutely no problems using the RUNDFLEX Plus - it really is good. 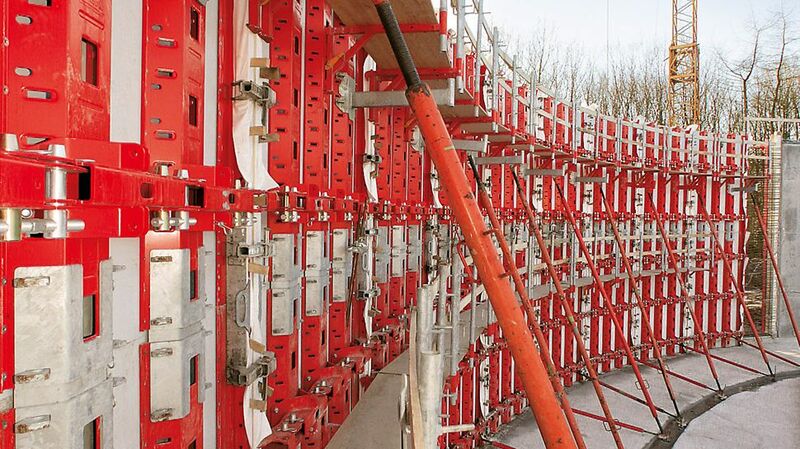 The PERI RUNDFLEX Plus circular formwork, in conjunction with TRIO panel formwork and PERI UP reinforcement scaffolding units, provided the most cost-effective solution for the construction team. It enabled the external wall sections to be shuttered, reinforced and concreted in four 25 m long casting segments. 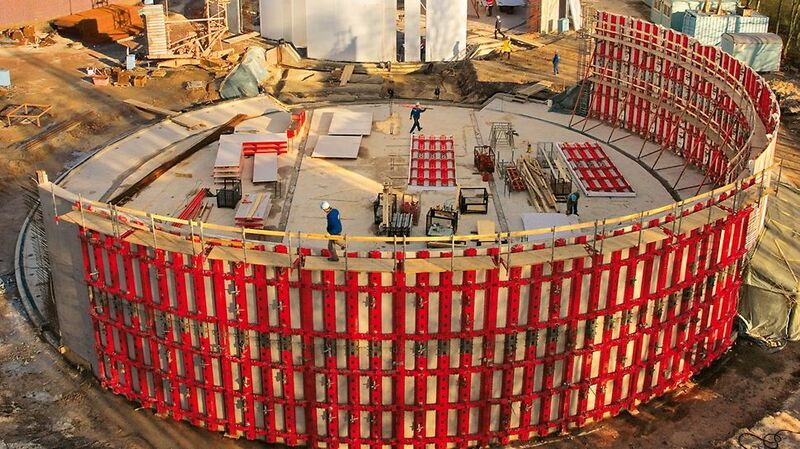 Adjusting the circular formwork elements took place on site. This saved on transportation costs and allowed the internal walls to be constructed using the same set of formwork. 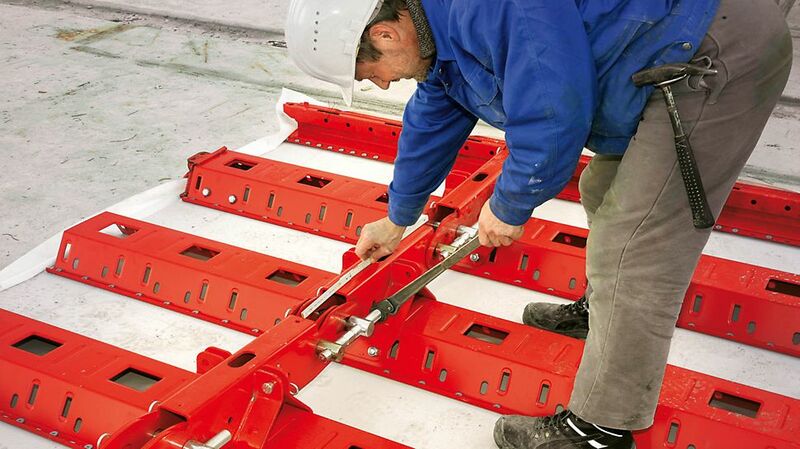 Due to the rigid waler system, no additional distribution walers are required for the RUNDFLEX Plus. This simplified the handling and ensured enormous time savings. The BFD alignment coupler from the TRIO product range guaranteed fast and neat element connections and also bridged filler timber compensations up to 10 cm. For the straight intermediate walls, TRIO 330 elements were used horizontally. With TRIO column elements, the twelve reinforced concrete columns could be quickly shuttered and concreted. 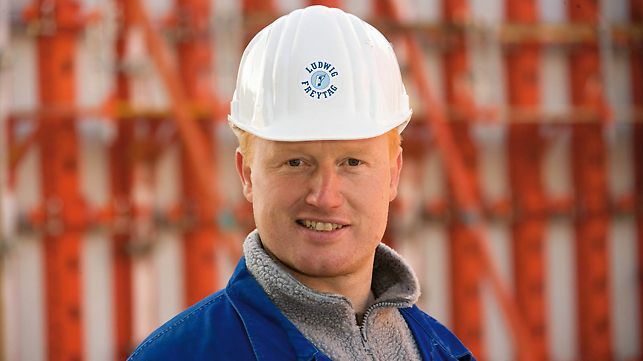 In the process, PERI UP reinforcement scaffolding units provided safe working platforms for handling the formwork, carrying out reinforcement work and concreting. These could be moved on guide rollers as well being transported as complete units with the crane.